Kixie is an open telephone service with deep integrations into CRM, ERP, Marketing Automation Software, and more. "Great product and Service but still leaves a little to be desired"
Kixie was a good product that has a lot of potential for a Sales team. The voicemail drop and local presence functionality worked very well and the softphone was easy to use. With the simple click of a button, as soon as you hear the voicemail begin, it can be dropped. Eliminating the need to continually say the same message. Be warned - if the voicemail is not longer than 5 seconds the voicemail drop may be too late to detect the beep and thus will not leave a message. In their web dashboard, they include detailed call reporting that could add a little motivation for the analytical/visual mind. It is also easy to navigate. A pretty broken feature that I am sure they will improve. Currently when a list is loaded in the agent calling through the list is only able to see the number and will not know who is being called until that person picks up. That presents a problem in terms of assuring preparation and knowing who you're calling BEFORE you call them. Our organization was experiencing firewall issues, which their support team was very helpful, however, were not able to help us solve unique IT issues. Kixie, if you are a smaller scale organization, would be an excellent tool for your sales team. It provides an integration with several CRMs and allows for an increase of productivity. "Calling and metrics made easy"
Some of my favorite things about working with kixie are that I can easily switch between my desk phone and my cell phone. I spend about half the day at my desk so being able to toggle that easily is great. The forwarding functions are nice too it's very customizable the way I can route calls and set up voicemails. The biggest thing for my team is the metrics tracking. we can see all talk time, review calls, track connections all in real time. It helps us optimize our sales team and it's easy to identify and solve issues with low production. The customer support has always been top notch. We receive frequent touch calls. We always get our emails and questions responded to quickly. For times when we're adding lines and reshuffling extensions it really helps to have their knowledgable staff. Jason once even helped me learn some new stuff about my CRM! Really went above and beyond to make sure we're happy. The seem to embody that small company mentality of not having some big name or laurels to rest on. They work as hard as we do, and they provide a great service that our company sees lots of benefit from. We tried a lot of phone companies and until we settled on Kixie we always had issues. I couldn't see us going back to one of the other companies at any point. We are loyal kixie customers, and we are very glad we discovered their services. They make adding and dropping lines super simple for scaling up and down. They also have really great call quality through our cell phones and desk phones. Nothing really. I think we've had one outage since we started using them 2 years ago. Beyond their control. Being able to track metrics in real time, and have call recordings for training and review purposes. And the fact that it just works when we need it to. We're an outbound sales team so our phone calls are our business. What I liked about KIXIE is its ability to sync our CRM to Powercall. Its click to call feature also makes life easier for us in the Sales Team. We get to see how many times we have contacted this person, what were the outcomes of the call before we get to contact them again. And that feature is very important in sales ,mainly, for follow up reasons or we get to know when and what to touch-base the next time we connect with the prospects. It also has call history that we use to review who we have called for this particular day, which is necessary when our Quality Analysts would assess the quality of our calls. It has this voicemail feature that is so easy to track. It gives you a heads up whenever someone has left you a message. It has this screen pop feature which tells you that someone is calling you, so it does not really matter if you have accidentally turned off your (accidentally!) headset you can still pick up and entertain the prospect. Also, I liked how easy it is for us to document the outcome of the call. Right after the call, Kixie automatically gives you this log outcome sheet that we can use to notate the call. It helps us track how the call went, what the prospect wanted, what pain points were hit and where we can do better to. You can edit your contact's name in Kixie Powercall, which will automatically change the information in your CRM. You can schedule demos for those who are interested with your product. You can text and call your prospect using Kixie. You can choose whether you drop voicemails or just hang ups. It is just basically amazing, how you can use it as a user friendly phone and at the same time, it is integrated to your sales' CRM. Everyone should be jumping to Kixie's boat, they's be there for you all the way. To be honest, having been using different softwares from previous companies, Kixie has been great. There's nothing I dislike about Kixie. Please use Kixie as it gives you ease and efficiency in sale productivity. As of now, Kixie solves our issue of tracking down our leads for a productive sale. What Outbound Call Tracking solution do you use? "Kixie is Awesome - Incredibly Reliable Service with Amazing Features!" Nothing is more important in a call center than having reliable phone service. If the phones are down then your business is down. In the time we've been using Kixie there has only been once incident where the service was down. Communication was great, and it was fixed quickly. I've worked with call center and phone service providers for the better part of a decade, and haven't experienced a more reliable phone service. The next biggest thing is call clarity. Working phones don't really matter if you can't tell what the other person is saying. With Kixie the clarity is always top notch. If you’re experiencing problems then it is likely an issue with your network settings. Speaking of network, this is another area where Kixie really shines. They make solid router recommendations and provide step-by-step documentation on how to configure the router for optimal performance. No other phone system I’ve used goes so far to ensure the success of their customers. That includes having great tech support who respond quickly with great solutions. Lastly, Kixie offers some fantastic features. We save hundreds of dollars each month with their unlimited minutes plan. And the success of our campaigns saw an 8% bump in connection rates when we enabled local presence to always show a local area code when placing outbound calls. Kixie provides reliable service with affordable prices, top notch support, and fantastic features. You really can’t do much better. There’s not much to dislike about Kixie. The only suggestion I would make is for better CSV exports when it comes to call reporting. Their reporting within the webapp is good for looking at call data. Sometimes we need to include call data as part of other reports, and there is where we are somewhat restricted. That said, they expanded their functionality to include webhooks, so with a little elbow grease we got all the data we need where we need it. The business problem we solved with Kixie was launching a call center on short notice. Thanks to their helpful support team and great documentation we were able to go from nothing to a fully-functional call center setting appointments within a week. We’ve also realized the benefits of their robust features - see Local Presence and Unlimited Minutes above. "Good but could use some improvement"
I love how easy it is to voicemail drop, sometimes talking constantly you can start to sound robotic so this helps when it comes to not always talking. I do not like that it seems like there is something always going wrong with it. It does not always mask the area code as well. It will double call when you click it once, there are times it does not voicemail drop at all and you are stuck leaving a voicemail. It has errors and it can take some time to fix those errors. Less talking and sounding not so robotic. I have seen the benefits in our increase in volume, we are able to get more calls done. This program has a feature called "local calling" which is great in concept. However, it's bugged and extremely expensive. If Kixie had better support and less predatory billing standards the price would be worth this feature. Everything about this system is expensive garbage except the "local presence" ability. However, this feature is advertised on their site for a monthly affordable price. Then after the introduction period they tell you that price is only available if you have 3 enterprise users billed annually (thousands of dollars). The problem with this is that the software is full of bugs. It does not do half of what the site says it does. It does not do SMS. It does not sync to Pipedrive CRM (you have to go in to their system and manually click "sync"). Their support is horrible. They are the most expensive dialer on the market (by nearly 4x the average price of competitors). This company also has unethical billing practices. Do not give them a debit card that has a lot of money in it. They will bill you as they see fit. Get a prepaid card and charge it for what they should actually be charging you or they will take your money. We wanted to track sales calls to clients in Pipedrive CRM. However, Kixie doesn't update the record as they say. They don't send SMS text as they say they do. Their local presence billing on their site says one price then they tell you they only offer that price if you have three users billed annually (3k+). Which you will never do cause in the trial period it's all buggy. Thanks for the feedback as we always strive to improve. A few points that we wanted to address. -We have SMS with Kixie. We currently do not have SMS sync with CRMs. That is a feature in an upcoming release. -The user minimum is a program we institute for customers that signed up and canceled and sign up again. We do this to prevent abuse of the platform. -Our service and support is something we like to hang out hats on. All support staff at Kixie is highly trained and located here in the US. They are also highly acclaimed by the other reviews on this site. "Kixie has been a game changer for our business! " Right out of the box the software works great. But then when I need something more, the support staff is always ready willing and able to help. I use the Kixie integration with Pipedrive, and the built in integration is phenomenal. Then I started playing with the webhooks and zapier automation to really take my business to the next level. If you have a sales team and making calls is how you make money, you need to make sure that you implement Kixie into your business. Better text message integration would be stellar. The issue solved by kixie was the need for an integrated phone solution that works with Pipedrive. The constant copy and pasting of phone numbers to make calls was a drag. Now with Kixie chrome extension, I can easily make a call with the click of a button, with all the activities and calls logged automatically into pipedrive. This allowed us to monitor our sales staff closely to ensure that they are on point with their calls. Secondarily it made training that much better as we can listen to sales calls and give real world training. The tracking is also great because it allows us to get a consistent snap shot of who is making calls and who is not. "Shout-out to the Kixie Team for Being an Integral Part of My Business!" I forget what life before having Kixie felt like - almost the same way that I forgot what it felt like before I had a cellphone. I felt like writing a review for Kixie since I sometimes forget how impactful Kixie is to my phone sales efforts. Sign up for the trial to get a sense of how it works since it’s free for 7 days and takes two seconds to setup. Kixie integrates great with my CRM, saves me ton of time, helps keep me organized, and eliminates manual logging tasks. Like I said before, I can’t even remember what it feels like to make calls before using Kixie. "These guys are dynamite - works a treat, boosts my sales, like clockwork"
I use a simple crm called pipedrive which I like, and Kixie integrates with my chrome browser, and with pipedrive. Whenever I call a new number, Kixie creates a new prospect record inside pipedrive. And when I'm using my crm to call either clients or prospects, a single click and kixie is at work a-dialing. It uses my actual cell, so return calls come to the right place. I can send a sms message. I can drop a pre-recorded voicemail and kixie is doing the work while I'm already off to the next thing. Saves me time, makes my work easier. I just cannot think of anything less than delightful. Try it. You will like it. Nice tight integration with crm and chrome browser. Helps me organize my presentations, prospecting, and client follow-up. Saves me lots of time, and I have greater velocity in my job. "The VERY Best Integrated VOIP click to dial system I have ever used, and I've tried many"
Kixie provides a reliable solution that is easy to implement. The zoho integration works really well. I also like how they people over at kixie do a great job of making sure that we are always taken care of kixie. I also like how kixie only charges one price for local presence. I have spoken with and used several phone providers in the past. All of them charge you on a per area code bases. Kixie gives us the ability to get a better overall connection rate, but with out all the extra cost that would usually be associated with it. There is nothing really at this time that I do not like about kixie. No recommendations, they have a great service. They should keep doing exactly what they are doing. Kixie has solved our issue of poor call quality and misrouted calls. It has also improved our contact ratios because of local presence. We also needed a system that would work well with our new CRM system zoho. Kixie intergrates perfectly with zoho which makes my job so much easier as the CTO of the company. Thanks for the feedback William! "Executive Manager of Sales (Sales)"
It's very comprhensive and is beautifully integrated with ZOHO CRM. Never really need to enter data actually in CRM as the extension, is all right there and does it for you instantly. On top of that the support at Kixie (Alex) is polite and never give you that feeling of being inadequate on the tech side of things! All and all, Great Job!! Well, just like a phone, you need to check and be aware of new updates. As in, if an employee misses or disregards the update that has just been sent through , some of the features do not track or record properly until said update has taken place. There has only been none day the system crashed. That was due to malicious actions. Kixie is very versatile and user friendly. However, the admin needs to stay on top of updating and instructing others when to refresh the interface for new updates and, upgrades. "Great Features & representatives are always there to help!" I cant say enough good things about Kixie. They have a great support staff that is always willing to help and features that are just what I need to record my day to day. Their recording feature is what I like best so I can improve on my calls and remind myself what kind of conversation I had with a prospect. I do not like how it doesn't tell you your number. Maybe instead of saying Call from #... Call # to.. it should clarify what your number is so it is easier to communicate that back to your client. When I am not near my lap top, Kixie allows me to see who is calling and leaves the vm in my inbox. This problem is great because again if I am not by my laptop I am able to come back to it at my convenience. "Nothing but a great experience using Kixie!" For one being able to choose a local number is amazing. With a local number, I am able to establish my presence in our company's region which is great. Multiple voicemail drops, sms, and reporting features are the icing on the cake. Customer support is always there to help and super reliable. To be completely honest, I do not have any dislikes at the current moment and I have been using Kixie for almost a year. Get it! You won't be disappointed. 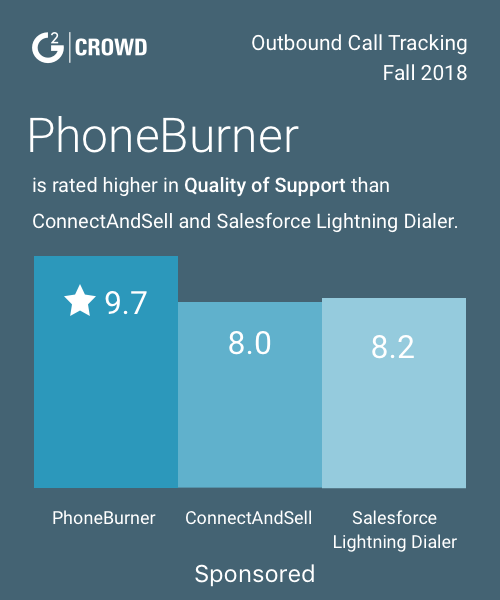 Kixie is a great phone service that allows for integration into Salesforce. The issue is, kixie always has lots of kinks because they're technically a startup. In concept all of the features are exactly what a salesperson would want in a phone system but sometimes there are technical difficulties that are very annoying to deal with. It is currently reliable 70% of the time, which is acceptable in my opinion. I dislike all of the service outages as well as the inability to shadow teammates calls via the kixie dashboard. I hate that the shadow functionality doesn't work and sometimes recorded calls get lost. Basically, the biggest issue I have with Kixie is the inability to rely on the software completely at this point. Everything else is excellent. Kixie does a great job revolutionizing the phone software industry. I think you should definitely join Kixie if you're a big enough salesforce to require it. I don't understand this question, but I'm assuming you're referring to why we use Kixie? We have multiple people working leads at a time, so kixie creates a level of transparency that wouldn't be available to us otherwise. Also, our leads do take a while to close so Kixie helps us remember different parts of a conversation by listening to the recorded calls. Kixie is every salesperson's dream. Instead of needing to take detailed notes, I can essentially rely on the call being recorded and listen to it anytime I need more information about a lead. I like that after some time now I have an established relationship with our rep at Kixie. He is extremely helpful, accommodating and available whenever we need him! I dislike that the option for Voiper with Kixie on iPhone does not work the same as it does on Android. We are able to track percentage of calls coming in to each department & have been able to identify high volume times for which departments. Ease of use, quick setup and activation, integration with Pipedrive. We needed a way to have reps call from our CRM efficiently and to track their activity. With Kixie, the reps can go through a list generated by the CRM, and we see who they called, how much time they've spent and get recordings of everything. And because it works with just a laptop, headset and an internet connection, reps can work from home without any loss of control or accountability on our part. I use a simple crm called pipedrive which I like, and Kixie integrates with my chrome browser, and with pipedrive. Whenever I call a new number, Kixie creates a new prospect record inside pipedrive. And when I'm using my crm to call either clients or prospects, a single click and kixie is at work a-dialing. It uses my actual cell, so return calls come to the right place. I can send a sms message. I can drop a pre-recorded voicemail and kixie is doing the work while I'm already off to the next thing. Saves me time, makes my work easier. I don't dislike anything about this system. This product resolved my click to call needs , and added extra voice recording within Pipedrive to review callsWe are able to track percentage of calls coming in to each department & have been able to identify high volume times for which departments. Helps me organize my presentations, prospecting, and client follow-up. Saves me lots of time, and I have greater velocity in my job. "Great way to call from a CRM"
Sometimes calls don't go through. We're looking forward to the power dialer, but the current implementation doesn't really work for us. Works better if you have one contact per phone number. Test the auto-dialer if you need that feature to be sure it works the way you need it to. We needed a way to have reps call from our CRM efficiently and to track their activity. With Kixie, the reps can go through a list generated by the CRM, and we see who they called, how much time they've spent and get recordings of everything. And because it works with just a laptop, headset and an internet connection, reps can work from home without any loss of control or accountability on our part. I love the click to call function. Also, their custom support is very good. Anytime a problem arises they try and fix it right away and they have great communication with us. I also love the whisper and listening function. This allows me to listen to my teams calls live and interject if needed. They are a new company, so obviously there are going to be some pains. The click to call seems to crash a lot. I feel like Im installing and uninstalling the app at least once a week which isn't the end of the world, but it is really annoying and shouldn't be happening. I would recommend Kixie. They roll out new updates often which is nice! As I said earlier, just be weary of the crashes, however they are generally quick to fix them. With kixie we do not have to dial out on the dial pad. Efficiency is key when cold calling which is why this is a huge benefit to us. Try it you will like it a lot. Where do I start. It automates the notes for a lead in our CRM. It also records and adds all calls inbound and outbound to our CRM. allows us to leave a pre-recorded voicemail if no one answers. when calling it uses a phone number that it from there area and they can call back that number. It works with our phone system. "Excellent soft phone software with call tracking all-in-one!" The software is incredibly easy-to-use, allows you to call from your cell number and works wonderfully. Unfortunately, the software is not designed with the mobile phone user in mind. Therefore did not fit my needs. If I did not need the mobile connection, I would still be using it! Get the software if you need inexpensive all-in-one call tracking software for your desktop or laptop. Quality control and tracking in my CRMR a requirement for my business. This software allowed me to do that easily and efficiently. Tech support was top-notch and very responsive when I needed it. I like that I can use my laptop or my landline to make calls. I like that calls integrate with SalesForce and I am able to listen to the call when I need to review conversations. I feel like we have had some dependability issues since I have been using Kixie. I was using TalkDesk before and never had these issues. Connection isn't always the best either. I am keeping my accounts happy. I am glad they have a number to reach me at that is not my cellphone. Customer service is the best in the game hands down. Alex Mann is well...the Man. Always there to adjust and cater to our needs. As a small startup company its great having that flexibility as things are constantly changing. The click to call feature is great and the reporting on the back end helps me analyze our sales performance etc. Just waiting for the power dialer really. Call tracking and reporting. The ability to listen to sales calls is huge for sales training and improvement. Kixie is user-friendly and drives production for our company. The Kixie team is smart and friendly. Super quick in offering help when it's needed. They were also just really nice - excellent customer service. I can't say there is anything that I dislike about this service or those providing it. It's supporting the momentum that we need when making cold calls throughout the day. Excellent customer service and support! The Kixie softphone solution works great and is easy to use. I actually have no dislikes to report. All good! We leverage Kixie solutions to make our communications more efficient and cost-effective with customers throughout the country. How it saves everything directly to salesforce and is able to help keep perfect track of calls, time on the phone and other metrics. How often it crashes unfortunately. We have had a good amount of technical difficulties, but none lately. Just implement when appropriate do not rush it because it can cause many problems, but when working correctly it is a great tool for any sales or customer service team. We are trying to figure out sales efficiencies how many dials to a closed deal, how many touches to get to a decision maker, how much time on the phone in general. Every metric to make us a leaner and meaner sales team. Getting Support when needed even on the enterprise level. They say "Email support if it is an emergency", except it will still take hours or even days to fix problems. We were forced to go business days without it, which is why we can't implement it completely yet. Be prepared to "Go Solo" when it comes to support, they take hours or days to help fix your problem. "Simple to use, easy to get going"
I like that I can use the CRM integration and reporting to make billing my time to clients easier. I also like that I get a professional phone system including an IVR without the expense. I wish they would also handle emails and integrate with more legal software. As a sole practitioner billing my time requires manual attention which is not always top of mind. Kixie logs all of the details I need to handle the call accounting for the month at once instead of with each call. I end up billing more and saving time. Make Kixie your first choice in vendors to look at. Thanks John for the review! "Simple effective dialer & tracking tool." I really like the ability to track the employees on a simple dashboard. There aren't so many features that its confusing, the team likes it. Also, the price point is great. I really don't dislike anything about the product. Do remember there is a cost for minutes or to pay for unlimited minutes. That caught me when I signed on but its still very cost effective compared to other solutions. If you need something simple, to the point, effective, reliable, and has decent reporting. This is it. Tracking, the ability to record for quality control, simple dialer so we didn't have to have a phone system. "Used this when i was in the Customer Service Industry"
Just be sure you want to switch providers as this may cost you a bit. Although there was a upfront cost involved, this solution proved more reliable than the previous vendor we were using. "Best Calling app out there!" What's not to like. Local presence, multiple voicemail drops, sms, and reporting features are great. even the new gamification feature in beta is great. they don't have their own CRM. being replying on an api in not ideal to take advantage of its powerdialer. i tried it with pipedrive, and prospectworks. Make sure you buy a good USB headset and plug it directly into the computer or lap top opposed to a hub. "Lost me with fishy billing practices"
I liked that despite not always being in the same office as my sales team, Kixie recorded their outbound calls so that I could still give them feedback. I am meticulous when it comes to costs and terms for services. My contact did not disclose all costs/charges when I signed up. DO NOT give them a credit card (as another review mentions). If you're going to go with Kixie, consider a burner card through Privacy.com or equivalent and set a monthly limit based on what they're disclosing. I am no longer using Kixie. "Mostly positive, but could definitely improve." Click to call, & that call recording usually works. Frequent issues causing our phones being completely down or not record properly. Works for basic sales needs, but hard for team leads to drop in on calls & still record. Solving our need to track call time, & listen & learn from our calls. Benefits are going back to listen to calls & they're tracked on the proper lead. I can dial quickly.. don't have to spend too much time punching in numbers. Overall, Kixie allows me to be lazy... I mean more efficient! Having to reload kixie can be tedious but other than that it is a solid product. I can dial so much quicker -helps multitasking more efficient. "In my first year using the Kixie phone service, reception would be spotty at times." It seemed to integrate well and from my understanding it seems affordable. Reception would be spotty, it definitely seemed glitchy, plug ins were not really that helpful, and the line connection never seemed that strong. Field all your options, if it's a good fit, then go ahead. I'm in sales, I need a phone? This question is a bit confusing, are you referring to the business problems I am solving with Kixie, or just the overall goals of BloomNation. I like that I have the ability to call from local numbers in different territories. I am able to text back and forth with prospects. The local presence seems to be flaky at times. I am able to get through more calls due to the voicemail drop options. I am also able to communicate faster with my prospects because of the texting options. "Best phone system I have every used! " Customer support is AMAZING and the fact that it is so well integrated with my CRM makes following up on leads and connecting with customers so much easier. There are always features that I like all my technology partners add but really KIXIE covers the most important features and benefits. You're doing great. Just keep improving the system. Fast one-click dialing is the best. It allows our team to increase the number of calls they make which converts to increased earning. Thanks for the feedback! Customer success is our top priority at Kixie. I'm not sure if it was on our side, but it appeared that if there were a lot of activity it would load slower than it should. Great alternative to other similar services. Wanted to try out different service than we were currently using. Seemed to make people happier. I love the Click to call it makes it easier to call customers and the fact that i can go back and listen to the calls is so wonderful. there is nothing that i dislike. Everything that is offered I absoutley love. ""Total Package" leaders in the industry....NO COMPETITION!!!!" The seamless integration and features used to track calls. Advanced user capabilities. Nothing so far. Everything that is offered I absoutley love. When I encounter a dislike I will communicate it accordingly. Been able to increase sales and call ratios regarding CRM traction via Pipedrive within the Financial Services Industry. Thanks for the feedback! Your feedback is what drives us to constantly improve Kixie. The phone service is great! The flexibility and management along with great Zoho CRM integration we love what Kixie offers. Not much we dislike. We should have purchased certified desk phones that they could have supported us better, but that's our fault, not Kixie. The integration and tracking with Zoho CRM makes life very easy. * We monitor all Kixie reviews to prevent fraudulent reviews and keep review quality high. We do not post reviews by company employees or direct competitors. Validated reviews require the user to submit a screenshot of the product containing their user ID, in order to verify a user is an actual user of the product. Hi there! Are you looking to implement a solution like Kixie?